Another hit in our family was something I served last night. I was hugely impressed when my husband took a big heaping second helping! The sprouted wild rice makes it super easy for your body to digest, and believe it or not, it makes it easier to digest other foods as well. 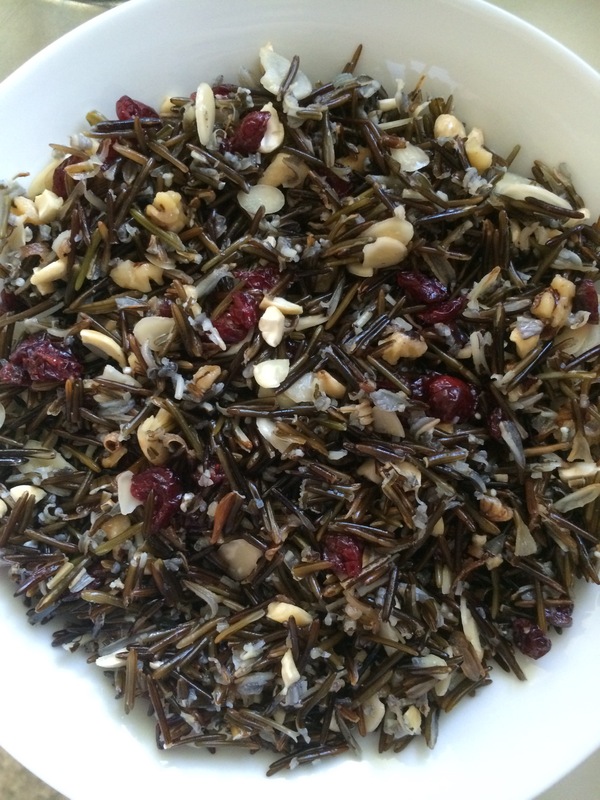 To start, you’ll need to soak about 1 1/2 cups of organic wild rice in about 3 cups of water, for 24-48 hours. Rinse it a few times and change the water within that period. A lovely side dish that pairs well with chicken, pork, or fish. Delish. The honey just gives it a titch of a sweet flavour, but not overwhelmingly so. Try it with 2 Tbsp first before adding a third so you can decide if it’s sweet enough for your liking. (Note: I soaked my rice for about 30 hours – the longer it’s soaked, the more the grains will “sprout”, and the healthier they are).